“You and me both. Way I see it . . . ” Mike paused as his comm chimed oddly, he stared at it for a moment before opening the message. Scotty frowned. He knew that specific message tone and it had not made that sound in a few years. But why would they be calling him now? He quietly watched Mikes face for a clue and saw a slow smile grow, the smile Mike usually got just before he went off to do something that might earn him another medal from Kry. Mike paid the tab and headed out quickly making his excuses almost out of reflex. Scotty waited till he was well clear before he started to laugh. Asking Mike to do a small job was like thinking the lighting a fuse meant that there would be a small fire. What he did not know was Mike was also laughing as he headed off to his office to start making notes and calls. Laughing for the exact same reason. You running any of the Lucky Strikes? I ran a few but almost as an afterthought. I am still not sure what I think of dailies. If you missed the finals of the Alliance tournament, go watch the last bout. It was an awesome and brutal match swinging both ways so fast . . . just holy crap. I was on the edge of my seat. If you are curious what medals Kry has given me? Look me up while in game. If you are curious about the last bit? Good. Hopefully something will come of that too. But I do have a big grin on my face. 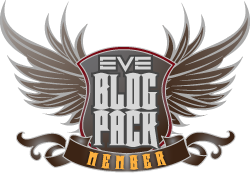 This entry was posted in Uncategorized and tagged eve online, In character, Live Event, Mike. Bookmark the permalink. Kry as in Mechanoid Kryten? She may be gone but never forgotten. Agency stuff is broken. I clock the 1,000,000 bounty and gets stuck there. When it should start the pirate hull count. I log out and back in. 1mil is green – but it is still not counting kills in a BC. (bug report filed). Guess its back to the exploring, industry and missions for me. Yeah, it had a few hiccups for me, too.